Leading trunk cable manufacturer in China. Expert for leaky feeder cable. I like Libo's hig efficiency and stable quality, I am expecting Libo to offer more high quality RG6 in future. 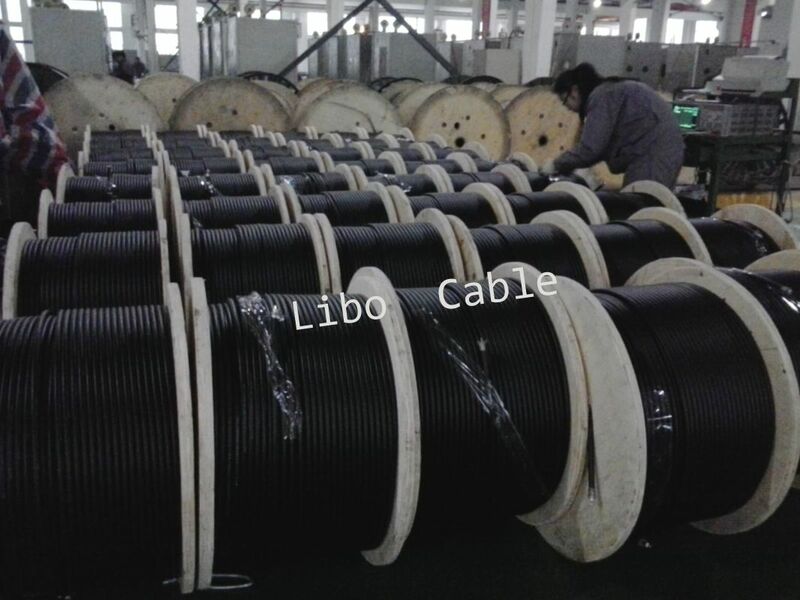 Libo's trunk cable is of very high quality and it is at the very competitive price, my team will place larger order in the following months. It is the 7th year that I buy seamless aluminum tube trunk cables from Libo, my company will order more cables like RG braiding cable from Libo. I will choos Libo cable to be my vendor for my big tender in January of 2015, because quality of Libo's RG6 and RG11 are proved to be very good. We place regular orders for coaxial cables from Libo since 3 years ago, we trust our cooperation will be more in year of 2015. High quality and reasonable price, this is the reason that I choose Libo to be one of my vendors. We work with Libo because they have very stable product quality which is so important to all buyers. 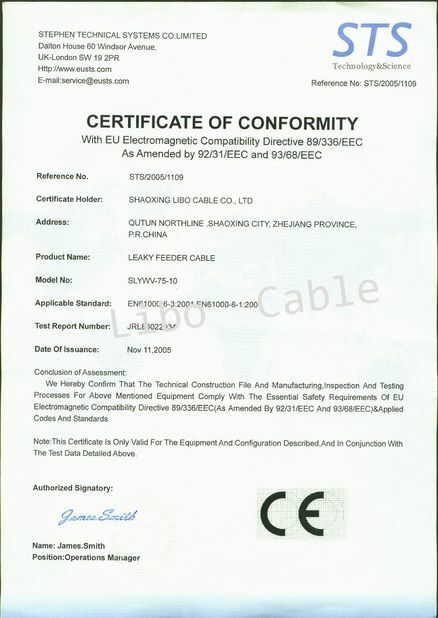 RG500 braiding cable is produced according IEC61196-1 international standard. Inner conductor is bare solid copper. Dielectric core is insulating grade virgin polyethylene. The 1st shield is two aluminum foils laminated to a strength member and a bonding resin on one side, the second shield is 82% Tinned copper wire braid; PE for outer sheath. 2nd shield: Tinned copper wire braid, 0.16x 8ends x24 carry, pitch is 38mm, 82% coverage. 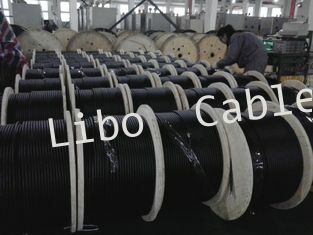 Libo cable was established in 1994, it covers over 340,000 square meters on our operating area. 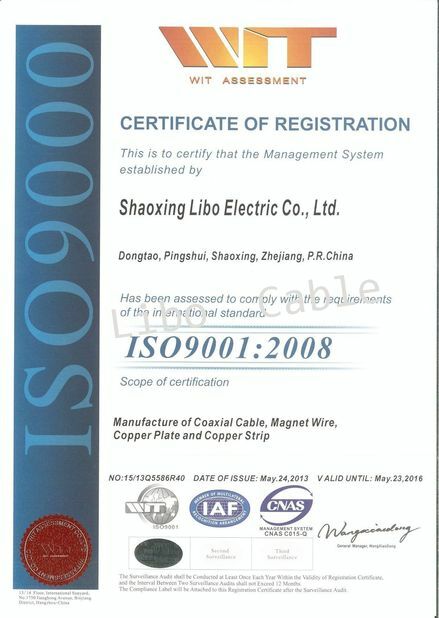 Libo cable has a stable workforce and engineering team, our production and testing procedures are all strictly follow requirement of ISO9000, and ISO14000. Libo cable is equipped with a Provincial-level Research and Development Center; we offer OEM and ODM services. China Good Quality CATV Coaxial Cable Supplier. Copyright © 2012 - 2019 catvcoaxialcable.com. All Rights Reserved.